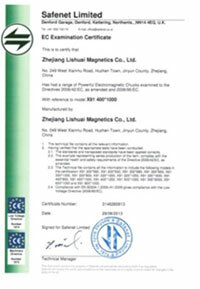 We mainly produce:LS1 Permanent Magnetic Lifter，LS2 Automatic Permanent Magnetic lifter, Electromagnetic Chuck,multifunctional permanent magnetic workholder, permanent magnetic chuck,magnetic sweeper,Electric Permanent Magnetic Chuck , Welding Magnet. 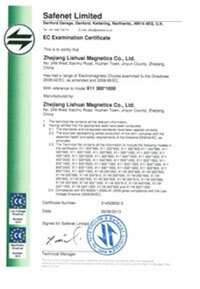 Zhejiang Lishuai Magnetics CO.,LTD. 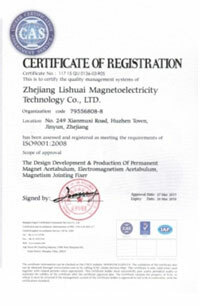 is a high-tech manufacturing enterprise. 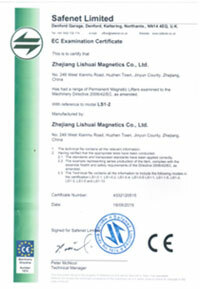 After years' hard working and effort, we have built up modernized standard workshop which equipped with advanced permanent magnetic production lines, and have cultivated a group of so qualified technicians who are with rich theoretical base, skill and experience. Our major products cover 3 categories which including more than 40 kinds of different types of products, such as permanent magnetic lifter, electromagnetic Chuck, welding magnets. 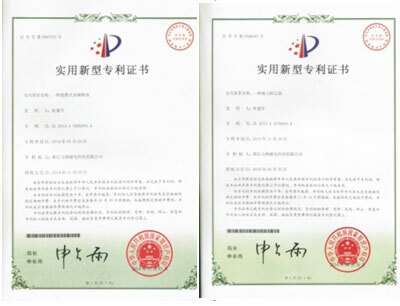 Leading in the trade, we have sold our products to overseas markets like the Southeast Asian area, European and American countries besides domestic markets, Thanks to client's support; we have won today's achievement. With our business belief of "Sincere, pragmatic, mutual and active", we strive to set up the brand image "Lishuai" around the country. We understand that the spirit of a business is brand image, quality is essential to cultivating brand image, after-sales service is the insurance for brand image and winning the competition In the international market. Our boss and all the staff warmly express our thanks to clients who are supporting us, we sincerely hope that can cooperate with friends at home and abroad for the same promising future.